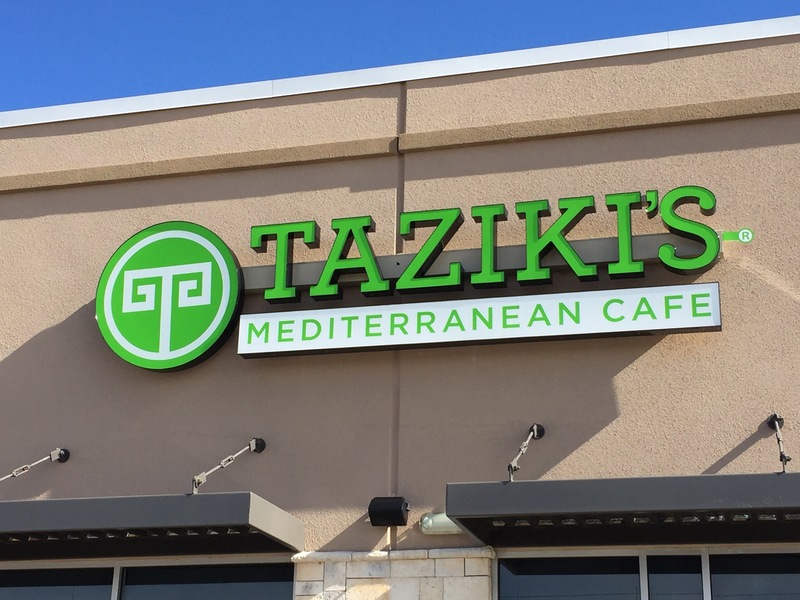 TAZIKI’S Mediterranean Cafe @ 3982 N. Gloster Street / Suite U-2, Tupelo, MS. (Next to Five Guys). 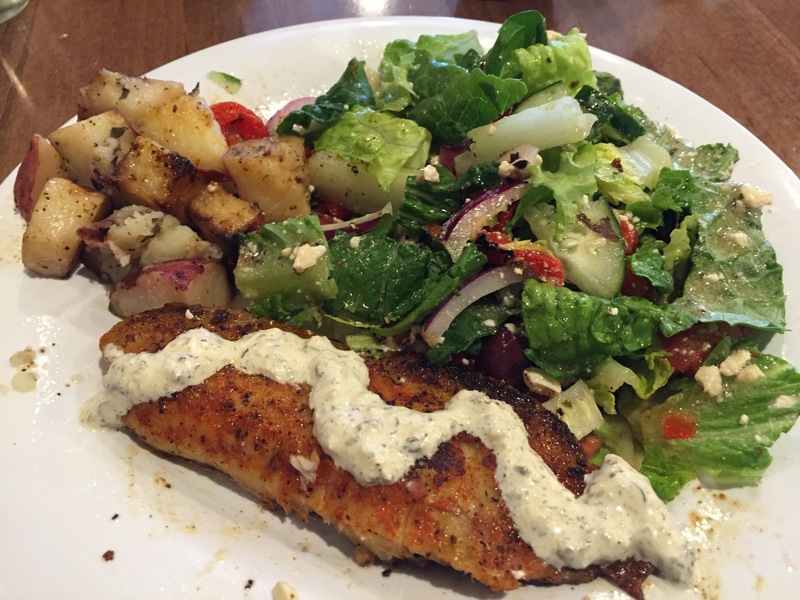 Today we’re trying the TAZIKI Dip appetizer, Grilled Tilapia TAZIKI Feast, and Grilled Chicken Greek Salad. 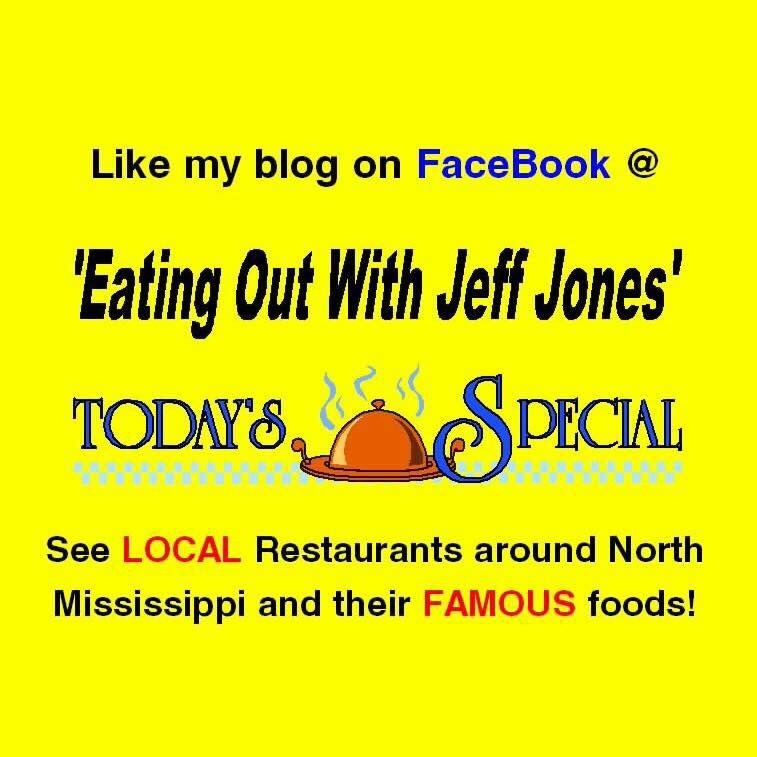 The wife and I were doing some shopping Sunday in Tupelo and wanted to eat first. 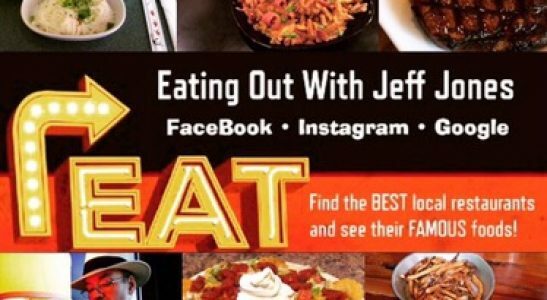 Now…when I go out to eat, I normally look for the heaviest, meat and cheese laden item on the menu. But today we decided on TAZIKI’S and I decided to find the best tasting, “better for me” dish, with wholesome ingredients available. 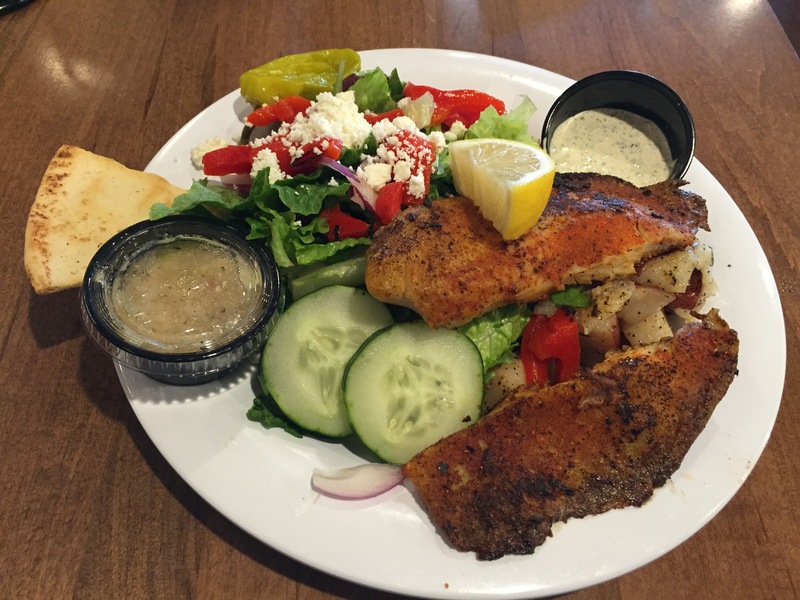 I haven’t tried much of their menu yet, but today I found a winner in the Grilled Tilapia Tazizki’s Feast. It’s grilled with Mediterranean seasoning and served with caper-dill sauce. And for my sides, I went with the Greek salad and roasted new potatoes. I normally just dig right in to my meals but this one has so much good stuff going on, it takes a little strategy since I like my food to look good and taste great also. 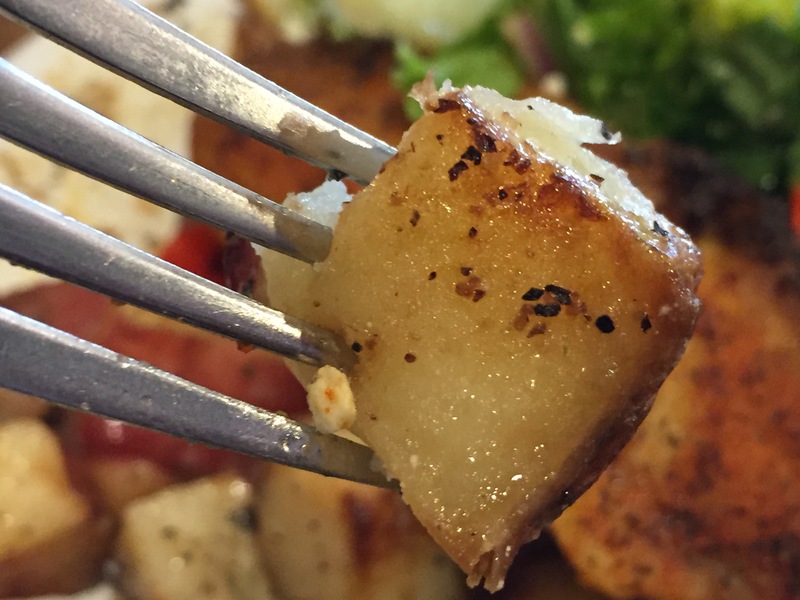 The new potatoes were tender with nice flavor from the seasoning. 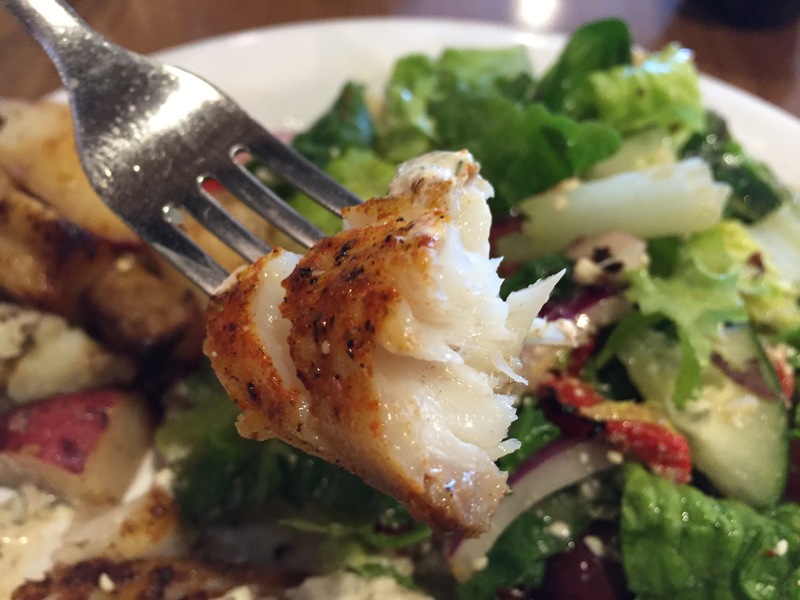 The Greek salad was nice and tangy and a pleasant change of pace from my usual ranch smothered salads. 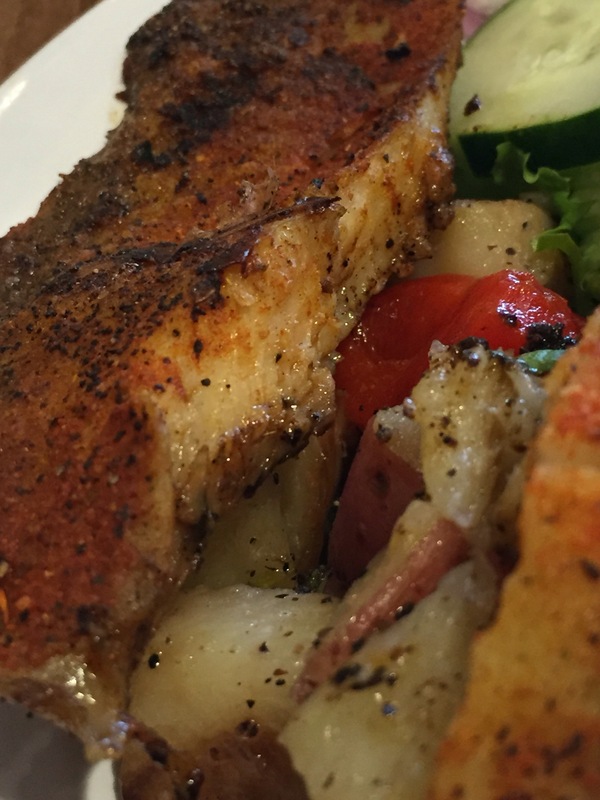 This was a total experience with lots of different flavors and textures going on. 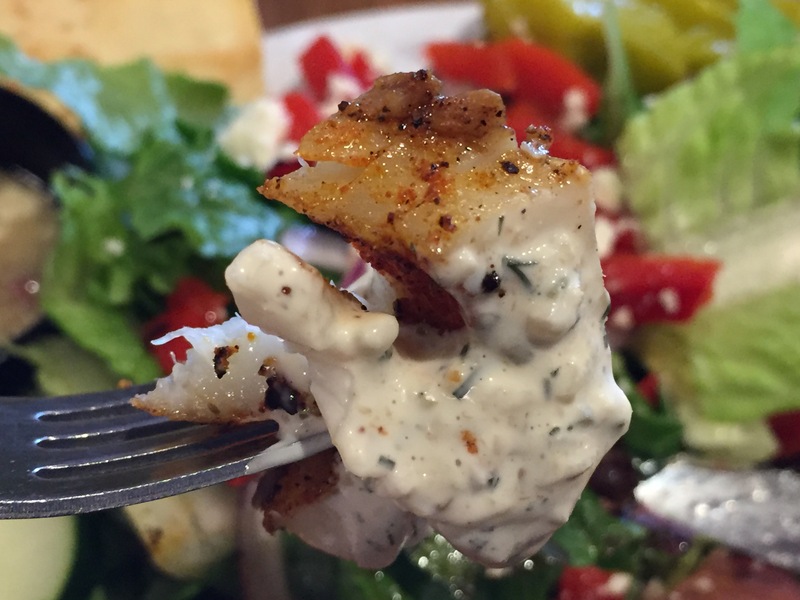 Plus I have decided my new favorite topper is the caper-dill sauce! The TAZIKI Dip is shredded cucumber, dill, with a hint of lemon, in what I believe is a yogurt base. You have your choice of soft or baked pita chips. Or a mixture of both. 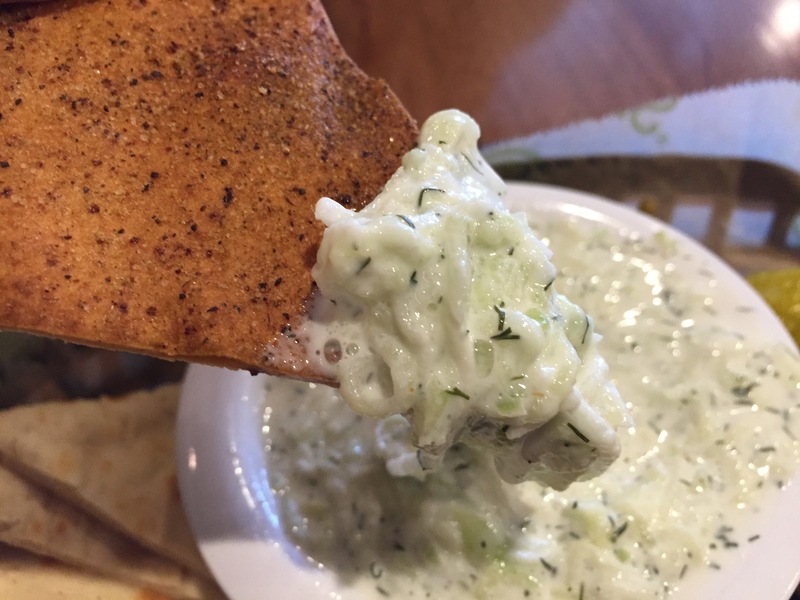 The dip is refreshing and tangy. The texture is hardy with the shredded cucumber, so dipping with the soft pita was a challenge without the help of a fork. 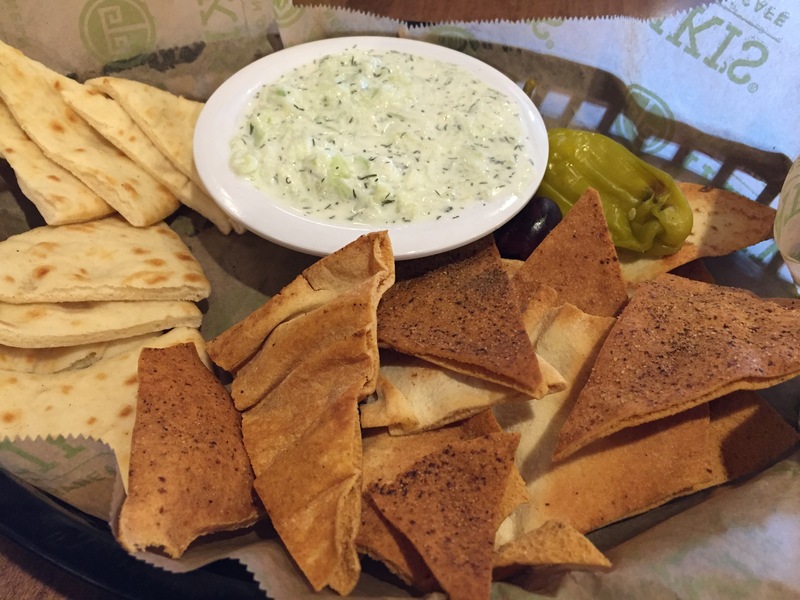 Although both were good, I preferred dipping with the baked pita. 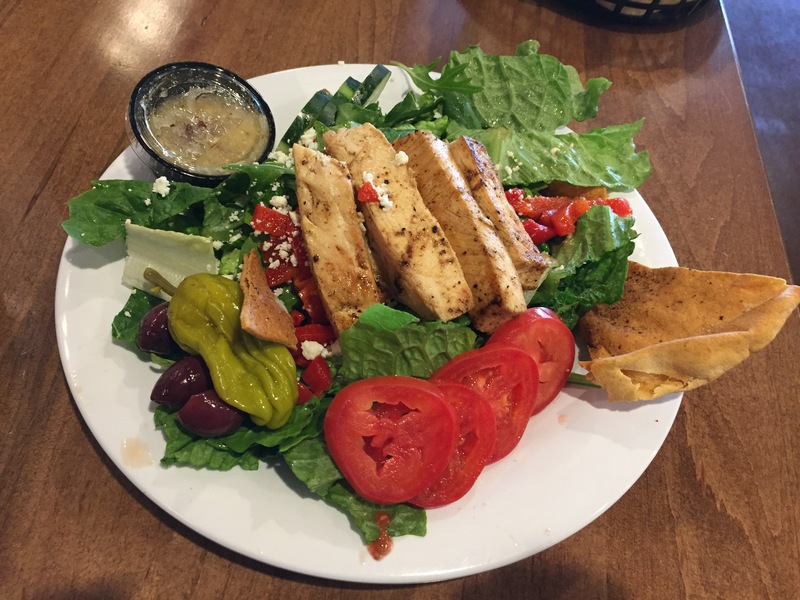 Oh, and the Wife had the grilled chicken Greek salad and loved it!